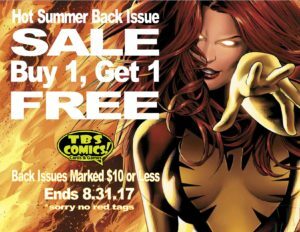 That Back Issue Sale Thing is Happening! You are here: / Comics / That Back Issue Sale Thing is Happening! We’ve been busy processing our new comic racks & buying large collections all summer to prepare for this. Come experience the complete comic book store experience of the Emerld Coast!